Sandra's blog is proof that, with the right pieces, a black and white outfit can be as exciting as a technicolor one. Mixing textures is important when putting together a single-toned outfit, so try combining soft or flowy pieces with more structured ones. Whether you take your look sleek and modern or stick to classic shapes, black and white were meant to be. 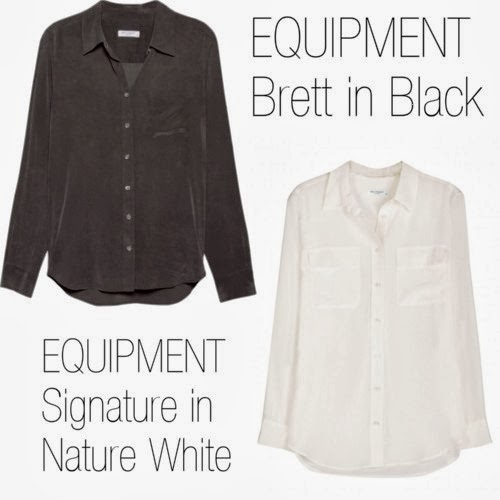 Take a look at some of our JOE picks of black and white pieces to mix and match for your perfect monochromatic outfits. What's your favorite black & white look? Post a picture on Instagram, Pinterest, or Facebook with the hashtag #shopJOE for a chance to be featured on our blog!